I like it! It's not quite Drama (Act II) which still drives me wild to this day (in other words, I can't help but start dancing enthusiastically) but it's fun!! I wonder if it was originally commissioned for 'Pop! Remixed'. Or maybe even more recently for 'Always - the best of' or 'Moscow To Mars'. My gut says the former, if choosing between the two, but I wouldn't rule out it being a more recent commission. Love it!! Thanks for the heads up!! Yeah.. I suppose if it was from 'Always Best Of'/'Moscow to Mars' (which I suspect were all commissioned at the same time) then they could feasibly get away with calling it 'new'! Plus 'Drama!' 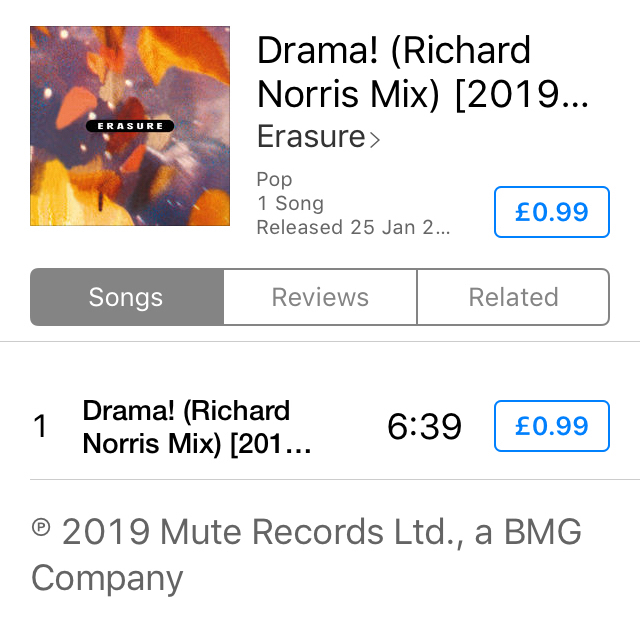 did see us get two officially released remixes with 'POP remixed' (plus a third which GRN unofficially released into the 'wild' for us! ), so it seems more likely to be from then. I'm not sure how I feel about it being part of the 'Wild!' remaster set though. On the whole I kind of prefer these to be all about the time in which they were originally released, and only include things which were - or could have been - released at the time. The other remasters are like that. So something thrown in from more recently just sounds out of place to me. I'd rather it was part of a different package I think. Put in my pre-order for the 30th Anniversary remaster a few days ago. On the earlier forums, I complained a bit about the track listing and said I would boycott this release - but I changed my mind. I can't help it, I love Wild! I don't want to carry any negativity forward, but now as a paying customer, I feel I can speak up about some possible misgivings I have regarding this re-issue. - No disc 3. Surely they could have included something. Sure it would be nice to have a concert DVD, but anything would have been a nice gesture. All of the previous album re-issues are 3 disc. Why does Wild! get shorted? - Disc 2 track listing. 5 tracks are labeled as "unreleased." Only Drama! (Richard Norris Mix) and How Many Times? (Alternative Mix) are the only previously unreleased tracks for certain. The 2 live tracks are likely from the Wild! Tour VHS/DVD and Dreamlike State (7" A Cappella Mix) will likely be just a mislabeled 12 Hour Technicolour Mix. We won't know for sure until the set is in our hands. - Missing tracks and mixes. No b-side Paradise anywhere? Why not include 2000 Miles (Monteverde Mix) from FMTM? What about the US promo Blue Savannah mixes? Out of the Blue Mix has been released elsewhere and there are other exclusive mixes that could have been included. - The album remaster itself. 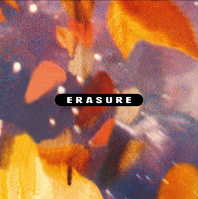 We all know many Erasure releases on CD are mastered WAY TOO LOUD. Will this re-issue sound incredible, or be overly loud and brickwalled? I expect a "remaster" to sound impeccable. I am looking forward to the new Drama! and HMT? mixes, as well as simply listening to the album again. It's been a while! I'd like to hope that BMG is digging deep the in vaults to put out everything they can, so even though this release seems a bit uninspired to me (Wild! deserves so much better!) I'll just hope that it's only a placeholder while they go all out for the Chorus re-issue. you don't need to. wait to here the new remix of Drama! Here is the brand new Drama! (Richard Norris Remix) from the new remaster of Wild! maybe he wants to wait to hear the remix of Drama!